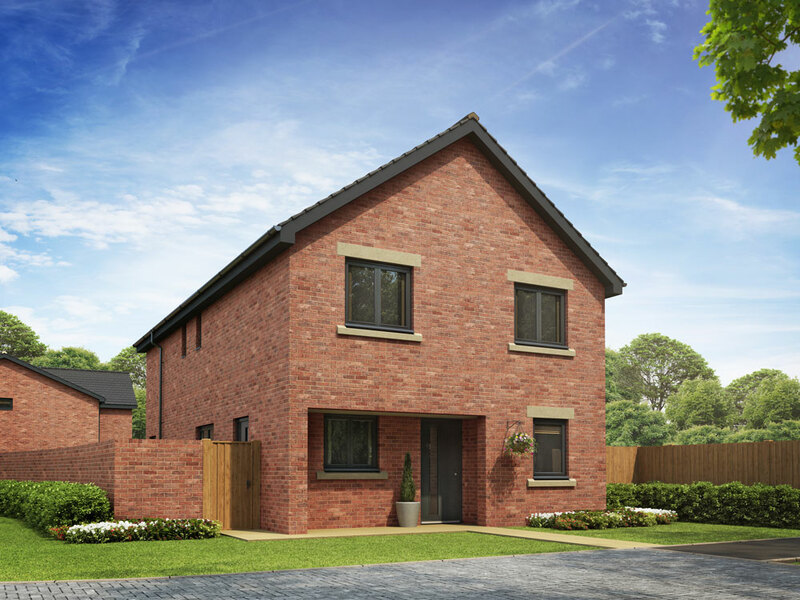 Welcome to Lancaster Park, a development of superb 3 & 4 bedroom homes in the picturesque village of Middleton St George, near Darlington. The homes at Lancaster Park are perfect for the discerning home buyer. We have merged technology with expertise in order to produce superbly built homes constructed with the latest technology, each with their own HIVE smart meter. 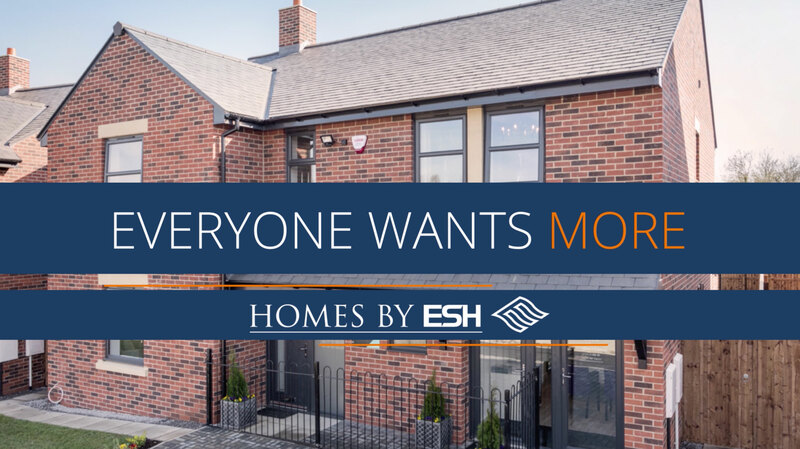 Buying a home is the most important investment you are ever likely to make and at Homes by Esh we put all our energies into helping individuals, couples and families find the right new home for their needs. 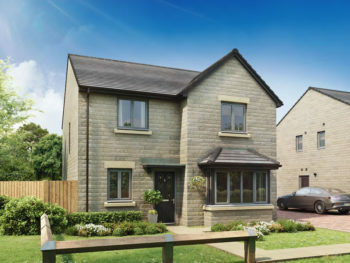 We are one of the North of England’s leading housebuilders, developing desirable new homes and creating communities that stand the test of time. From 2-bedroom bungalows to 5 bedroom detached homes every square metre is meticulously designed to be aesthetically pleasing, environmentally sound and accommodate the modern lifestyle. We pride ourselves on our exceptional customer service and our team of Homemakers are experienced and knowledgeable about not just our developments but about the wider property market. Taking the decision to move is a big step, which is why we always go the extra mile to put you at ease and ensure you have all the information you need to make an informed decision. We have a variety of incentives to help alleviate the stress, financial worries and organisational headaches of buying a house. Read more. AVAILABLE WITH HELP TO BUY FOR AS LITTLE AS 5% DEPOSIT! 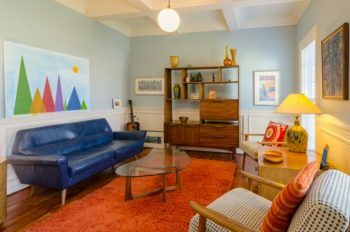 The Balmoral is a home made for entertaining. Its impressive open plan kitchen, dining and lounge area provide a modern and luxurious space to socialise with family and friends. Bifold doors to the rear add to the sense of light and space, as well as bringing the large garden into the home. 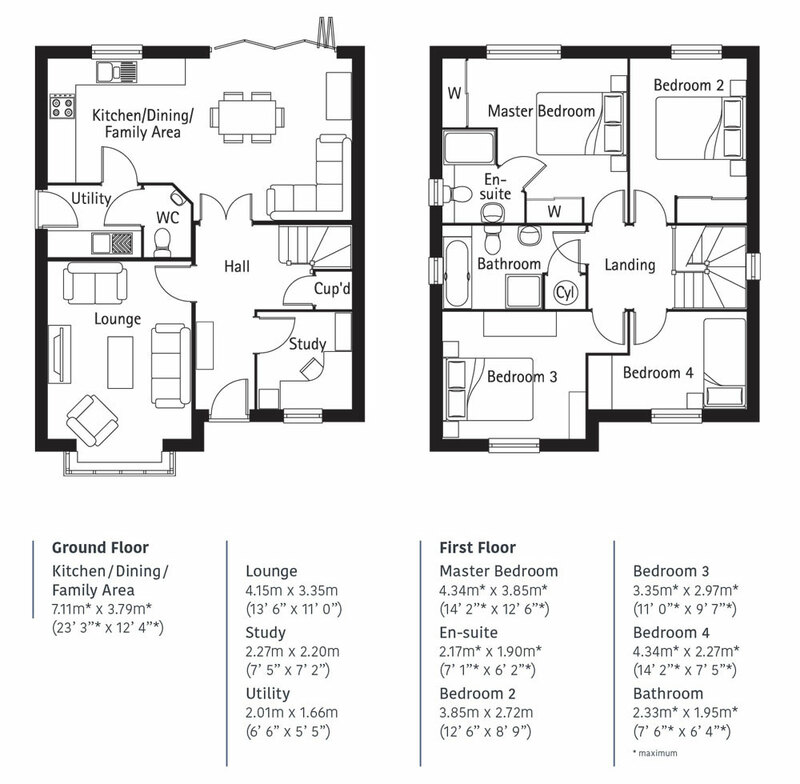 A study, utility room, and downstairs bathroom/cloakroom complete the ground floor, while upstairs there is a family bathroom and four bedrooms, including a master bedroom with an en-suite. Understanding whether the numbers add up or if you are really in a position to move isn’t always easy. That’s why our dedicated team is on hand with a selection of offers and options to help get you moving. 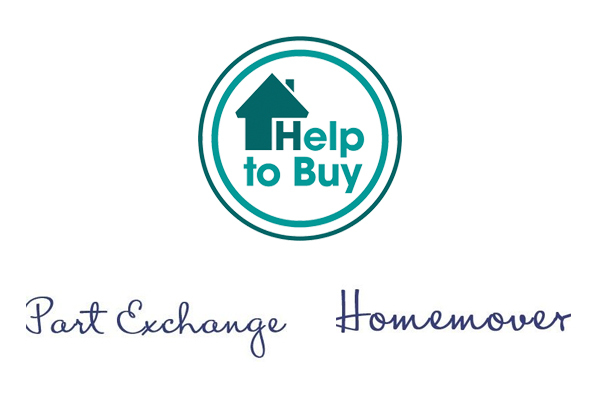 From the Government-backed Help to Buy scheme to our own part-exchange programme, we will assist you in any way we can to make that dream move a reality. 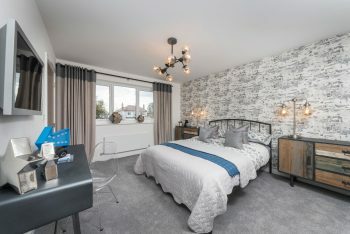 All of our new homes use the very latest in housing technology to deliver greater energy efficiency, security and, of course, build quality – all at an affordable price.